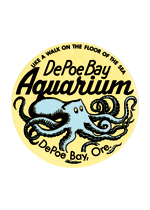 Depoe Bay is one of the coast's youngest towns, having only gotten started in 1927 when the highway and bridge were built and lacking a post office until 1928. Depoe Bay is one of the coast's youngest towns, having only gotten started in 1927 when the highway and bridge were built and lacking a post office until 1928. 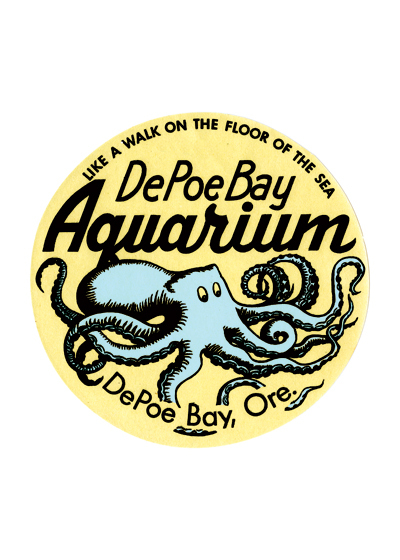 Yet until 1998 it was home to the oldest privately owned aquarium in the U.S. This aquarium was opened the same year as the highway and, in more ways than one, it was inspired by the road. Generally, it was inspired by the tourists the road was starting to bring to the formerly isolated hamlet, and specifically, it was inspired by a group of tourists who had stopped their cars and gathered around a dead octopus by the roadside.